He appeared noticeably heavier now than when he began his sentence 25 years ago, at that time weighing about 160 pounds. It was 26 minutes between the time Ramos, 64, was moved from his cell onto the gurney and when he was pronounced dead, taking about 11 minutes from the time the pentobarbital was administered into his body to kill him. In his final statement, Ramos thanked the Mexican consulate for attempts to appeal his conviction and the humane treatment he received during his time on death row. Ramos began to quietly pray to himself, followed by some labored breathing until his face turned purple in color. 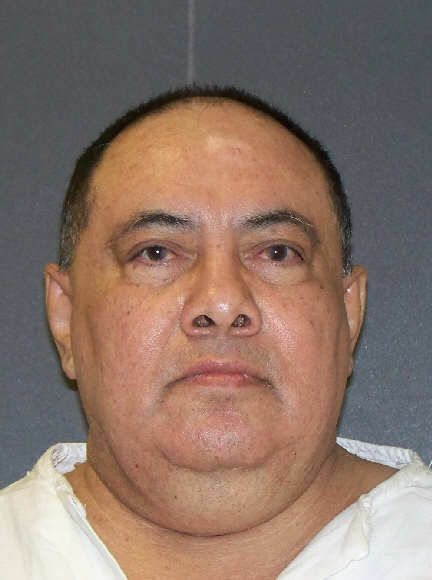 Ramos, a Mexican national from Aguascalientes, Mexico, was convicted of capital murder in 1993, more than a year after his wife and two children were exhumed from underneath the bathroom floor of the Progreso residence they called home. Also not present for the scheduled execution were members of the victims’ families, the same relatives who began asking Ramos questions about the whereabouts of his wife, Leticia Ramos, 42, and her two young children, Abigail, 7, and Jonathan, 3. He confessed to their beating deaths in April 1992, months after a relative of Leticia Ramos filed a missing persons report with law enforcement. Ramos was arrested after forensics uncovered traces of blood within his residence. Then 37 years old, Ramos, who worked as a physical aide, said he beat them to death with a sledgehammer and buried them underneath the bathroom floor of the family’s Progreso home in February 1992 so that he could marry a Brownsville woman with whom he was in a romantic relationship. “All were beaten with a blunt object and died of skull fractures,” one report shows. Initially, Ramos had told relatives, after they began inquiring about the family’s whereabouts, that his wife and kids had died as a result of a car crash in Mexico, but was unable to provide specifics when pressed. He then stated to authorities that he had come home after a day of looking for jobs to find his family dead; but in fact, after killing his wife and two kids, he had fled the state to Arkansas where he disposed of the murder weapon, which was never recovered. He reportedly married the Brownsville woman three days after killing his family, and then moved her into the same Progreso home where the brutal killings occurred. Also, he reportedly told his new wife that the woman and children that had been living at the residence was a widow and her two kids, whom he said he was helping. In May 2017, a federal appeals court rejected Ramos’ final appeal, in which he claimed that at the time of his arrest he was not told he could receive legal help from the Mexican government. His attorney made a final appeal just before 5 p.m. to the U.S. Supreme Court only to have the court deny that appeal. Ramos was pronounced dead at 9:36 p.m. local time. The execution was the 21st nationally, and the 11th in Texas this year.